A trip to Oregon would not be complete without a trip to some of the country’s most picturesque lighthouses. Oregon is known for its assortment of beautiful lighthouses along its coast. 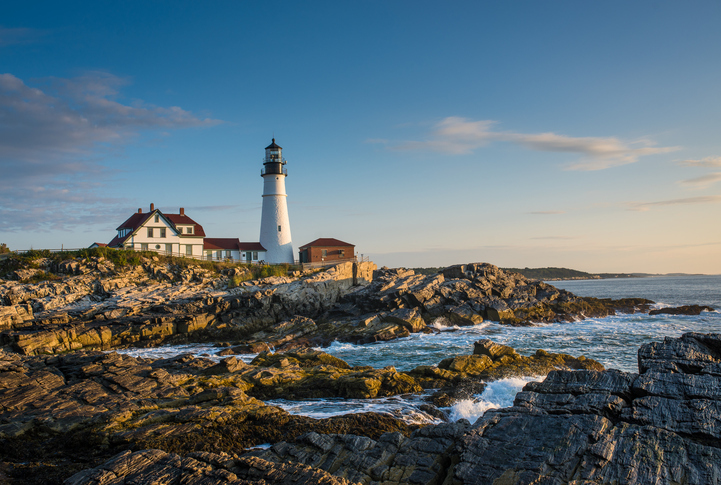 Lighthouses historically served as beacons and navigation aids to mariners at sea, but today, most of their initial value has been diminished thanks to the use of GPS for geographic navigation. However, their beauty has not been phased out with the passing of time. For the view of a lifetime (and some great photos), check out some of the lighthouses in the spotlight below. Not only is Heceta Head a beautiful, historic lighthouse, but it’s alsoone of the most photographed lighthouses on the Pacific Coast. Standing at 56 feet high, this actively operating lighthouse contains a rotating beam that is the most powerful one present on the Pacific Coast. It can shine its light out about 22-miles into the seawater. If you want to get an even more in-depth experience of the lighthouse, you can stay at the HecetaLightstation Bed and Breakfast. This experience can be booked year-round and includes evening viewing of the lighthouse. At this lighthouse, you won’t just see the picturesque scene of a lighthouse against the backdrop of the ocean. This lighthouse has a whale observation deck where you can see these picturesque creatures up close and personal. Although similar in structure to the Heceta Head Lighthouse, it stands tall at roughly 65 feet. This lighthouse has red and white alternating beams and is located right next to a state park where you can go after you see the lighthouse. Cape Blanco is situated on the westernmost point in Oregon. It is a tall structure standing 245 feet above the ocean. It’s praised as the oldest continuously operating lighthouse in Oregon. When first constructed, it did not have a rotating beam; however, that was remedied in 1936. When you are here, be sure to take tours of both the lighthouse and the house because both boast very interesting histories and the history of the lighthouse keepers, James Langlois and James Hughes, is inspiring. Capes Meares is the shortest of all of Oregon’s coastal lighthouses standing at 38 feet tall. However, it sits 200 feet above the ocean. Cape Meares is home to one of the most populous clusters of sea birds on the continent. So, if you are a bird watcher, you must make time to see this rare attraction. In addition to the structure itself, Cape Meares has over three miles of hiking trails in the area to ensure that your trip is adventure-filled. Additionally, from the lighthouse in winter and spring, you can see whale migrations. In the summer, you may catch an array of seals and sea lions for your viewing pleasure. In Oregon, if you have not visited the coastal lighthouses, you have not seen the fully majestic side of the state. If you need any recommendations or have any questions about which lighthouses to visit, please do not hesitate to reach out to us at at 541-412-9635 x12 or realtormcurtis(at)gmail(dotted)com.